We all relish in the V12 sound and power of the DB9, but equally important (to our lives) is the ability to haul the nearly 2 tons (3,968 pounds or 1800 Kgs) to a halt. 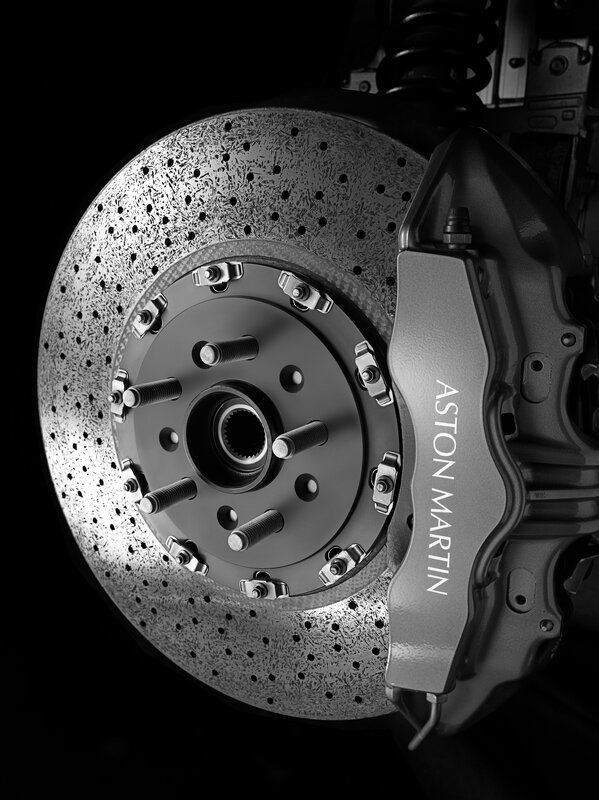 The DB9 is equipped with some of the best brakes in the industry, and the good news is that servicing them is much the same as working on any average car. You can take your car to an Aston Martin dealership or really any competent brake shop to get the work done, but at a price to be sure. I would suggest that you can just as effectively service most any aspect of your brake system yourself as long as you have a modicum of mechanic skills. In this article and those to follow I plan on taking you through how to inspect your brakes and do a full service if necessary. WARNING: These are your Brakes! Your life (and potentially others) depends upon them. If you don’t get the cabin air filter changed properly no one will be injured. Taking shortcuts or not understanding what you are doing here could result in very bad things. My articles and videos below will show you how it’s done, but ultimately you (not me) are responsible for the work performed. How often will you need to service your brakes? That’s a tough question and depends a lot on your driving style and quality of components used. I attend an AMOC track day annually and use the car as my daily driver around town putting on about 5,000 miles per year. I’ve managed about 15,000 miles per set of pads, and the rotors can probably go 30,000 miles. The hand brake pads might last the entire life of the car. Inspecting your brakes regularly is the key to knowing when service is coming up. Time to get to know some of the details of our brake systems. To start with, they are HUGE by most modern car standards. 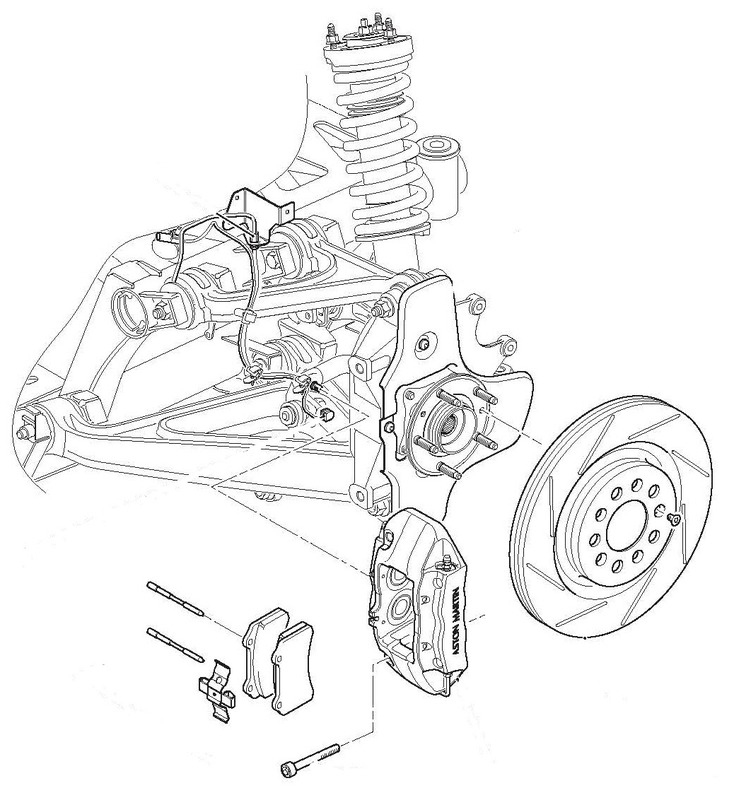 The brake systems job is to convert the energy of our cars motion into heat and then dissipate it. The better it is at conversion, the hotter the brakes can get. The brakes have to be able to deal with this heat to perform well. They need to cool quickly, and the brake fluid need to not break down (boil). Pushed to their limits brakes can reach temperatures up to 500°C (937°F). A completely separate mechanical hand brake caliper is fitted to each of the rear rotors. They are linked by a cable to the hand brake lever inside the car. These are self-adjusting. 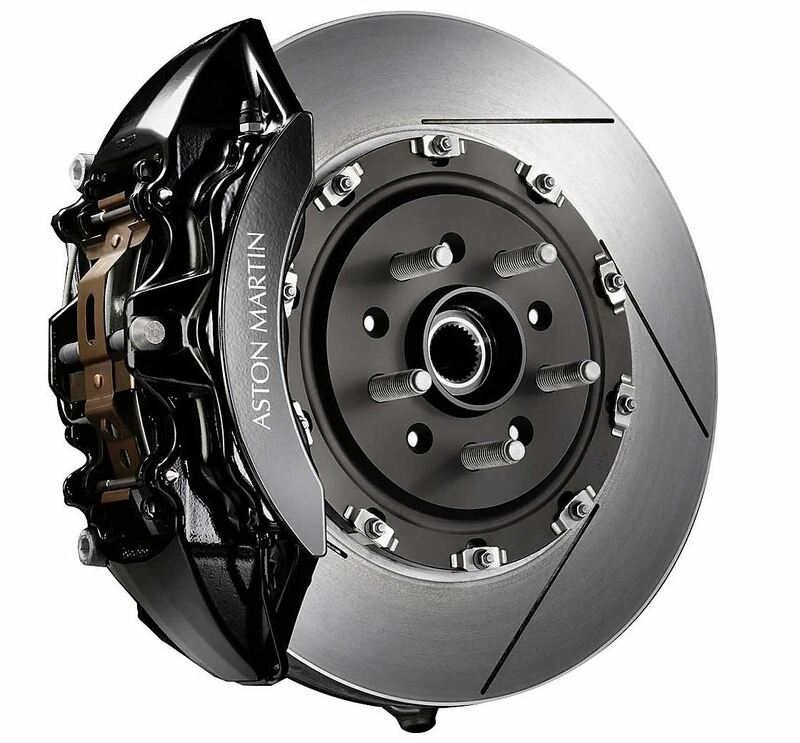 While sufficient to hold your car on a hill while parked, or to pull a hand brake maneuver, they are MUCH smaller than the massive Brembo system and will struggle to bring the car to a stop from high speed, but some brakes are better than none. I will be covering servicing the hand brake system in the articles below. The car has four wheel antilock brakes (at all times). There is a rotation sensor (and cable) built into each wheel hub that monitors when the wheels are locking up. The system will then automatically modulate the brake fluid pressure to each wheel to hold it at the verge of lock up, and this is the maximum level of braking. This allows us to remain in control of the vehicle and steer while in a panic stop. 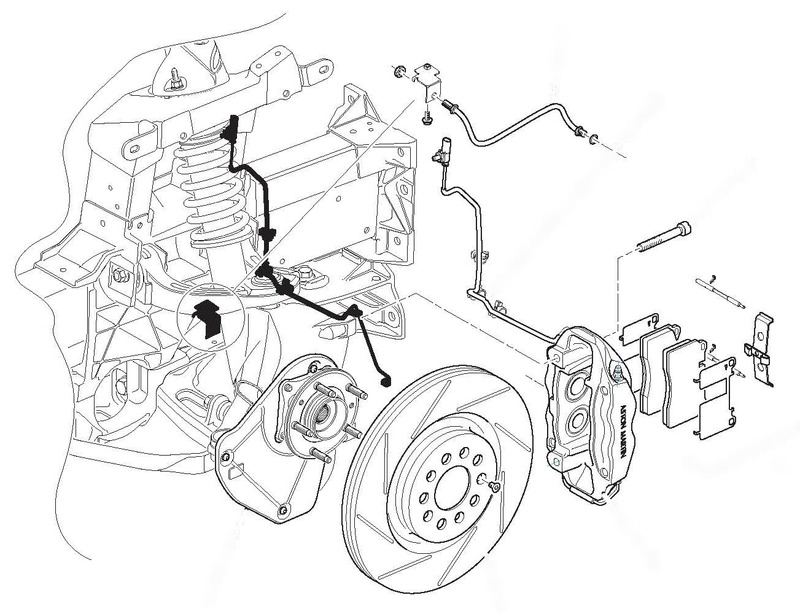 Keep this in mind while servicing the brakes, there is an entire ABS control system in between the brake master cylinder and each brake caliper. The control system is located in the drivers side front wheel arch under the plastic arch liner. Aston Martin recognized that most of us wouldn’t know how to properly deal with the power of a V12 engine and would be doing burn outs and fish tailing much of the time. As fun as that would be, they opted to include a ‘nanny’ to look after us. The traction control system also utilizes the wheel sensors to determine when they are spinning. If it detects one or both rear wheels spinning, it will automatically apply the rear brakes just enough to stop the wheel spin. If you’ve ever got on the gas hard from a full stop and felt a judder in your acceleration (and seen the traction control light flash on the dash), that’s the system at work. 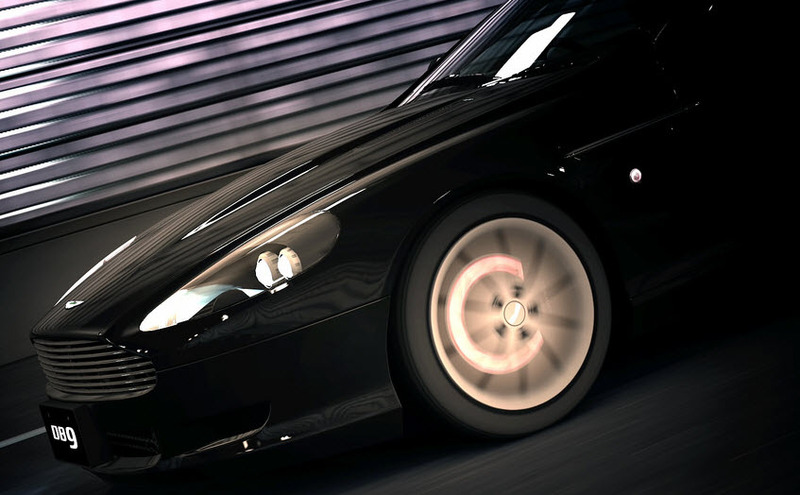 As a result, if you are a hard charger all the time, your rear brakes can wear out faster than the fronts! At least we can turn off the Traction Control anytime we want to let our inner hooligan out for a moment. Just press and hold the DSC (Dynamic Stability Control) button on the center console for about 5 seconds until it illuminates, and this turns off the traction control entirely (the ABS is always on though). All four wheels on the DB9 have a brake wear sensor. It’s purpose is to provide a warning message on the dash when your brake pads wear too thin (about 3/32″ or 2.5mm remaining). 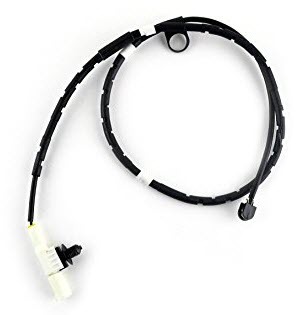 The sensor is actually a replaceable wear item, designed to have a protective surface wear off and create the electrical connection needed to send the signal to the computer. 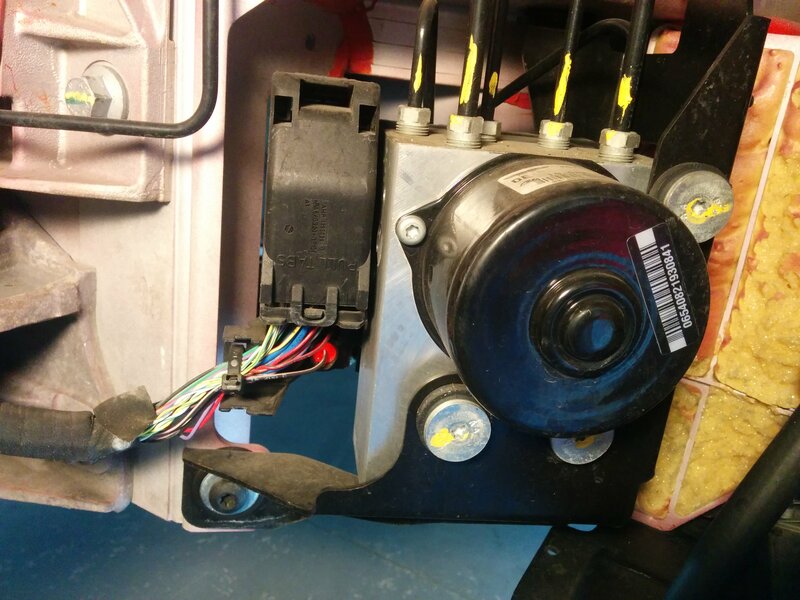 Once the sensor has been ‘worn’, it needs to be replaced when the brakes are serviced. You can save a few $$ by inspecting and servicing your brakes before reaching this point. The idea is to save you from catastrophe if you aren’t paying any attention to servicing. I will be covering replacing the wear sensors in the articles below. Aston Martin selected a very high performance brake fluid, not something you would typically find at most auto parts stores. Since our braking systems can generate a huge amount of heat, the brake fluid has to have a very high ‘boiling point’. If your brake fluid boils, the brakes entirely stop working (this is very bad). 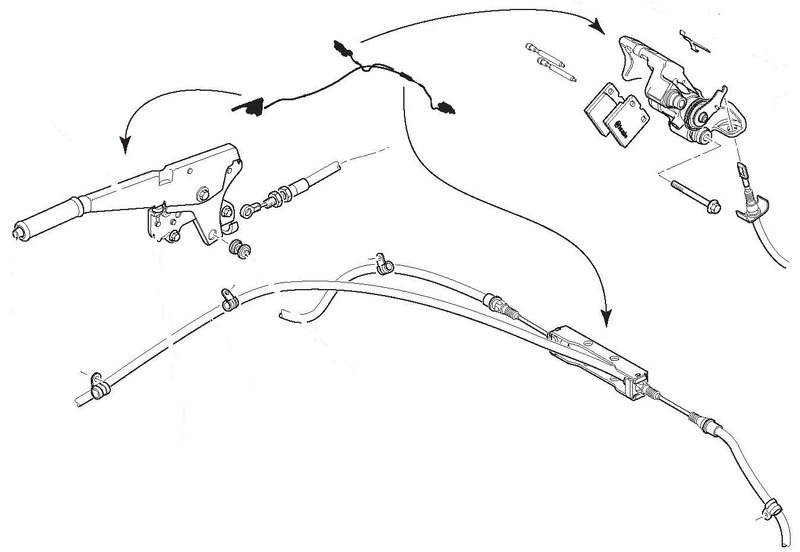 I will be covering how to select the correct brake fluid in the articles below. I’ve made a YouTube playlist of all the videos in the series so you can watch the process from start to finish without having to hunt down each one. Enjoy! Great stuff. Looking forward to the videos. I have a ‘12 Virage and replacing the front pads without removing the caliper looks a little more challenging.